Few people know that Beryl Markham was the first female to fly solo across the Atlantic Ocean from east to west. I had no idea what a trailblazer she was for women’s accomplishments in the 20th century until I read McLain’s book. Some might know her because of her friends, Karen Blixen and Denys Finch Hatton who were made famous in the movie Out of Africa. Beryl’s father, Charles Clutterbuck, buys a plot of land on which to raise and train race horses in the British colony of Kenya at the turn of the century. Beryl’s mother leaves the Colony after a year and Beryl is raised by her father and has an unconventional childhood as far as British, aristocratic children are concerned. Despite his best efforts to educate her and make her become a “proper” English girl, Beryl is most content to ride horses on her father’s farm and hunt with the local tribes. Throughout the novel she is constantly striving to regain the freedom she had as a child but which is so elusive for a female in the early 20th century. When the Clutterbuck farm fails, seventeen year old Beryl feels lost and is not sure what to do with her life. She can follow her father to Cape Town but she desperately wants to stay in Kenya, the only home she has ever truly known. She feels that her only choice is to marry a local farmer and horse trainer named Jock who is twice her age and whom she barely knows. Beryl seems to be looking for love, companionship and someone who truly understands her and will let her be herself. When she doesn’t conform to Jock’s idea of a domestic wife, the marriage fails and ends in divorce. Beryl marries two more times; her failed second marriage to a British aristocrat named Mansfield Markham, is also chronicled in the book. The one man that she seems to truly love and want to be with is Denys Finch Hatton, a man who himself cannot be tamed and whom she can never truly possess. Even though her personal life and numerous love affairs end up in failure, Beryl seems to put her energy into succeeding as a horse trainer. Most of the book deals with her early life as she trains horses and works among men on farms. When her first marriage fails she is determined to make her own way in life and lives and works on a friend’s horse farm in her attempt to become the first licensed female horse trainer. She is trying to break through in a field dominated by men and she is subjected to constant disappointments and setbacks because of her gender. One final aspect of the book that must be mentioned is the author’s beautiful and detailed descriptions of colonial Kenya. The topic of big game hunting has been a prominent topic in the news lately and McLain’s descriptions of British aristocrats going out on safari so they can possess one of these beautiful animals is an interesting glimpse into the origins of this sport. At one point in the book the British royal family goes out on a safari to hunt animals and the press glorifies this barbaric activity. 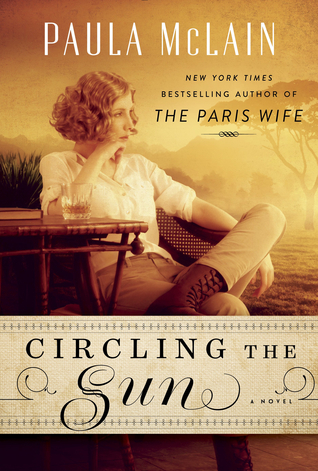 CIRCLING THE SUN is a great summer read for its lush settings and inspiring tale of a little-known female trailblazer from the early 20th Century. I’m currently reading ‘Circling the Sun’ too. 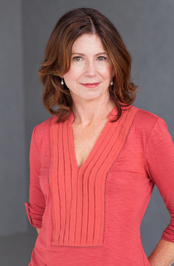 For a totally different, much more critical, take on Beryl Markham, read the following site. Thanks for the link! I am glad you are reading it too, I am eager to hear what other people think. Some parts of it were stronger than others. I enjoyed The Paris Wife by Paula McLain. I thought she had a nice, straight-forward way of writing. “Out of Africa” was one of my favorite movies. My head is still filled with those romantic scenes of colonial Africa. I loved that movie as well. You will definitely enjoy the descriptions of Kenya in this book! I had heard about Beryl Markham’s memoir, West with the Night, and long hadbit on my tentative TBR list. I was surprised to learn that there is some question about its authorship and about her place in aviation history: https://en.m.wikipedia.org/wiki/West_with_the_Night. It’s interesting that she is now the subject of a pretty prominent novel. He certainly had an adventurous life and represents women of a certain generation trying to carve out independent lives. I’ve read quite a bit about her since reading the novel. Some say her husband wrote the book but that seems to have been pretty well refuted at this point. I put West with the Night on my TBR pile-it would be fascinating to get the entire story from her perspective.